Travis County Commissioners have unanimoulsy approved a burn ban that would last until August 10 to prevent citizens from creating outdoor burning that might instigate a wildfire amidst very dry conditions. For the past weeks, the vote for a burn ban has appeared in the Commissioner's agenda, but action was only taken last July 12. It was later disclosed that members of the commission initially thought the burn ban was unnecessary due to the rains and wet conditions of late May. However, the commission did acknowledge the need for a burn ban once conditions become drier. The burn ban may extend beyond the initial August 10 expiration, depending on the county's climate conditions. 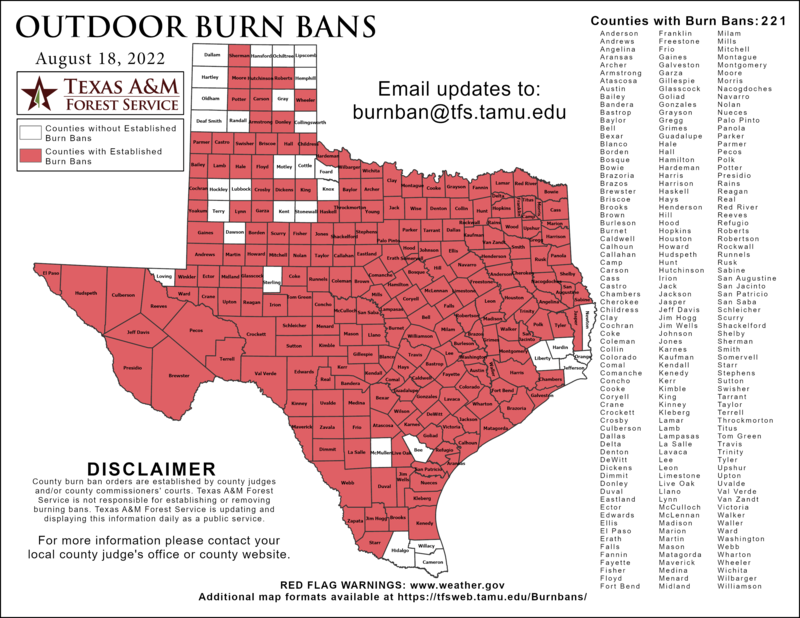 As of now, 48 Texan counties have enacted a burn ban in a unified attempt to keep wildfires from starting. To learn more about this local news, you can read the article from which this post was based here. 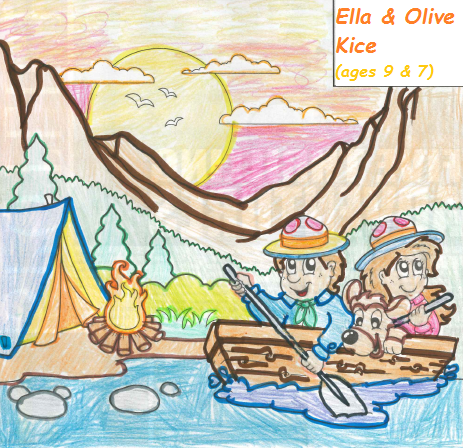 Congratulations to our July-August coloring contest winners, Ella & Olive Kice (ages 9 and 7). For their very artistic rendering of July-August issue's coloring masterpiece, Ella and Olive received a $25 Toys R Us gift card. Want to join Travis Country Times' Coloring Contest to get a chance to win your very own gift card? Watch out for our upcoming August-September issue! The Austin Fire Department and Travis County have hosted a meeting today about the Wildland Urban Interface Code in its effort to reduce the risk of wildfires and help residents determine whether or not their home is at risk. The Wildland Urban Interface Code is a "set of standards that outline best practices, strategies, and rules to cover everything from managing vegetation to building guidelines in areas where development and neighborhoods meet green space." The Austin Fire Department made it clear that the organization implements its own wildfire mitigation plan, but it is important for homeowners to do their part as well. You may visit the official site of KXAN.com to know more about this important news update here. Cain Realty Group showed support in the annual TC 4th of July Parade organized by the TC Social Committee by giving out bottles of water to parade participants and spectators. The parade kicked off at 9:00AM this morning at Knob Oak Lane, where participants in their beautifully-decorated red, white and blue costumes, floats, and vehicles all lined up to join the festivities. It was a festive morning of the 4th of July as new neighborhood block floats added to the parade participants. 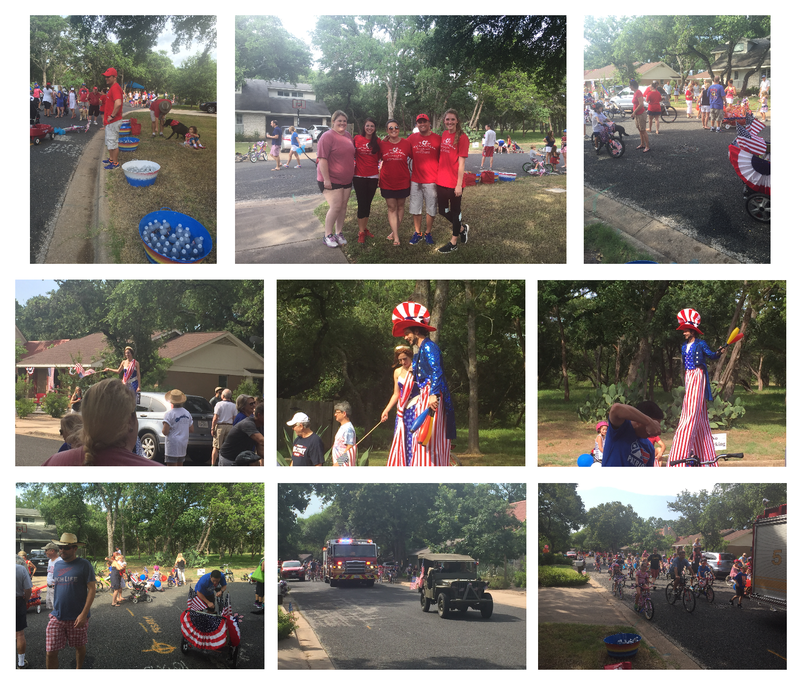 Red, white, and blue dominated the streets as the entire Travis Country community celebrated our great country. Participants were delighted with the free bottles of water provided by the team as the parade went along its route with cheering spectators looking on. Cain Realty Group shows that the 4th of July is not only a day of celebrating patriotism-- it can also be a day of giving if we so choose. Today is the 6th annual 4th of July Apple Pie Giveaway, and Cain Realty Group continues the tradition of giving a little something to our beloved clients and friends as a token of our gratitude for their trust. Big, luscious, freshly-baked apple pies were handed to each one of our cherished clients -- an event we LOVE holding as we get to see some familiar faces as well as make new friendships within the community. 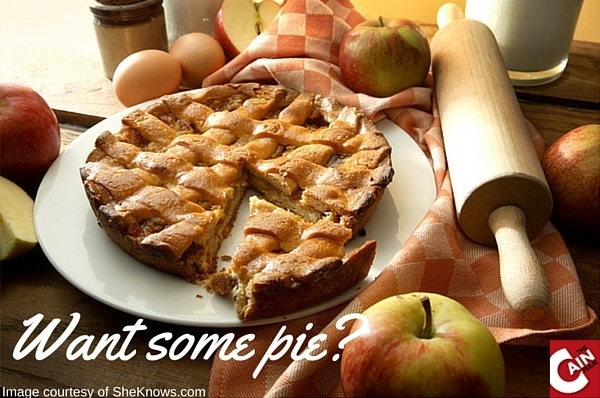 Nothing tastes better on the 4th of July like a piece of fresh apple pie!